Peaceful one bedroom unit in Diamond Head Plaza! Excellent location on Pualei Circle overlooking the garden and swimming pool. This corner/end unit has a renovated kitchen and bathroom, ceramic tile flooring in the living room and kitchen, a nice open lanai, and comes with one assigned parking stall. Building is pet friendly and conveniently located near Kapiolani Park, Waikiki Beach, Kapiolani Community College and Monserrat Avenue eateries. 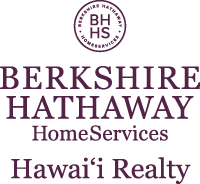 I am interested in 3061 Pualei Circle UNIT 207 B, Honolulu, HI 96815. Sign up for Inside AccessTM to view recent sales near 3061 Pualei Circle UNIT 207 B.